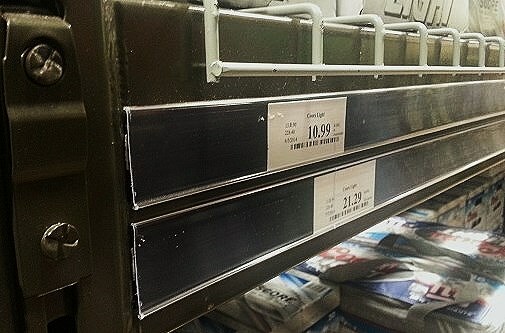 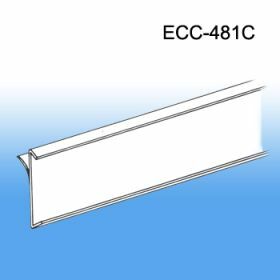 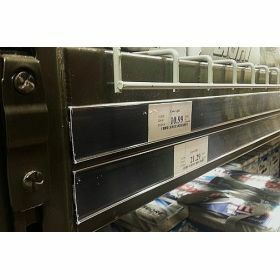 The ECC-481 Econo C-Channel by Clip Strip Corp. adheres to the shelf edge with included tape. 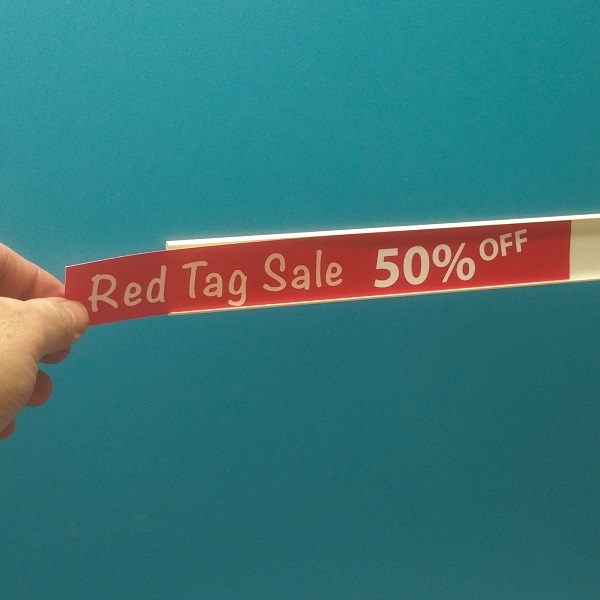 It's a great sign communications holder for pricing, UPC, promos, branding, etc. It is constructed of styrene which is very strong and lasting for busy point of purchase environments. Easily place in the sign and remove as needed. 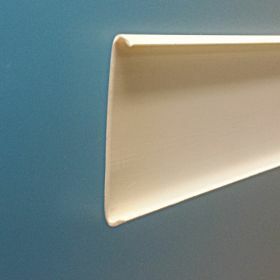 It fits 1.25" standard size price channel signage.